VERMILLION, S.D. - Sioux Falls Christian defeated Bridgewater-Emery/Ethan 43-8 in the Class 11B State Championship game on Friday. It’s the second straight state title for the Chargers football program. Christian led 22-0 at halftime, and the Seahawks only score came in the third quarter as Quarterback Brady Hawkins rumbled in from 28-yards out. 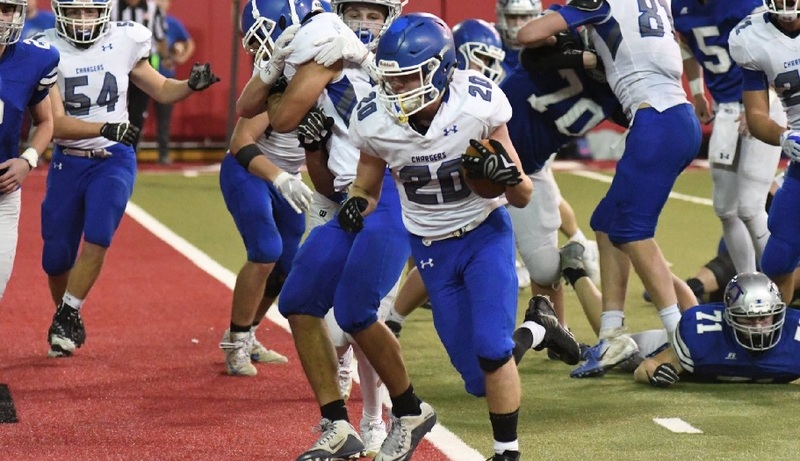 Sioux Falls Christian put up 435-yards of rushing in the game, beating the Class 11B Championship game record they set last year of 358 rushing yards.